CPD Announcements Forum – An auto subscription forum allowing for key CPD information to be posted to notify staff. 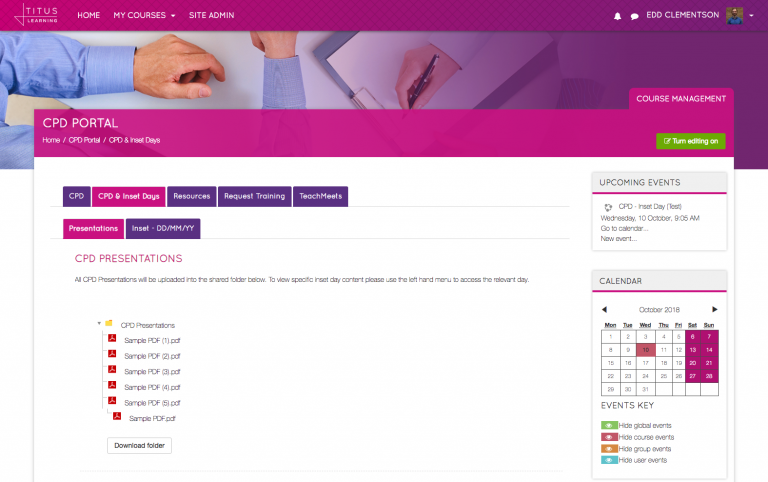 CPD Inset Day Log – An area for Inset day information/timetables to be added along with any supporting documents. CPD Presentation Storage – an area for CPD presentations to be uploaded. 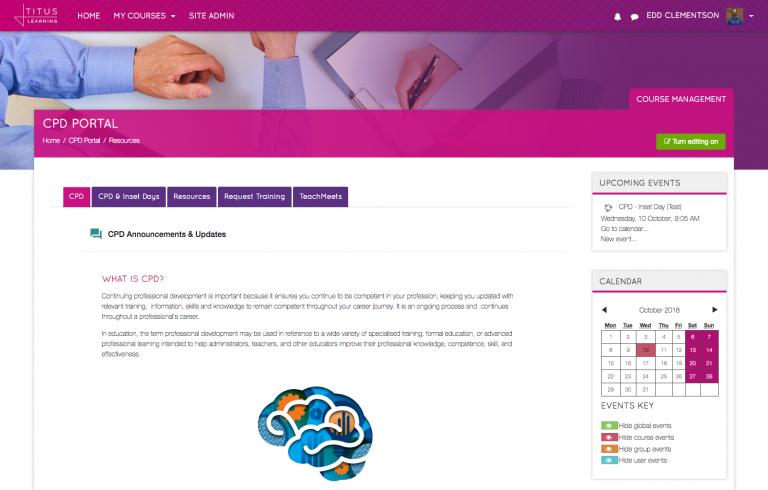 CPD Resources Area – An area and sharing forum to allow teachers to discuss useful resources they have found. 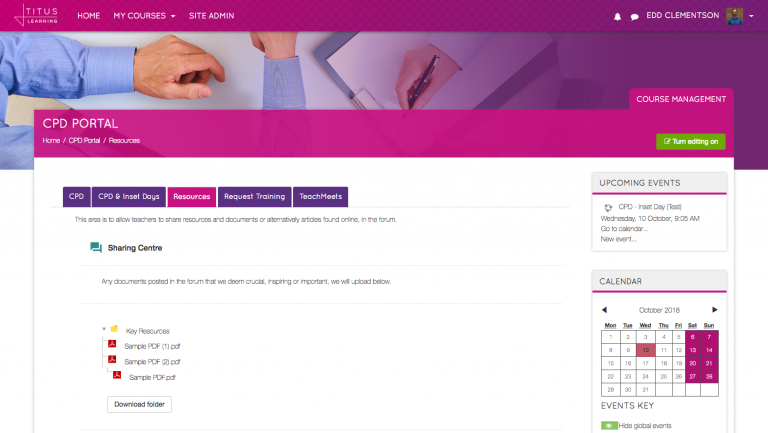 Request CPD Training Form – A form to allow teachers to request external/internal training, state the benefits of the training, and who would it be for etc. 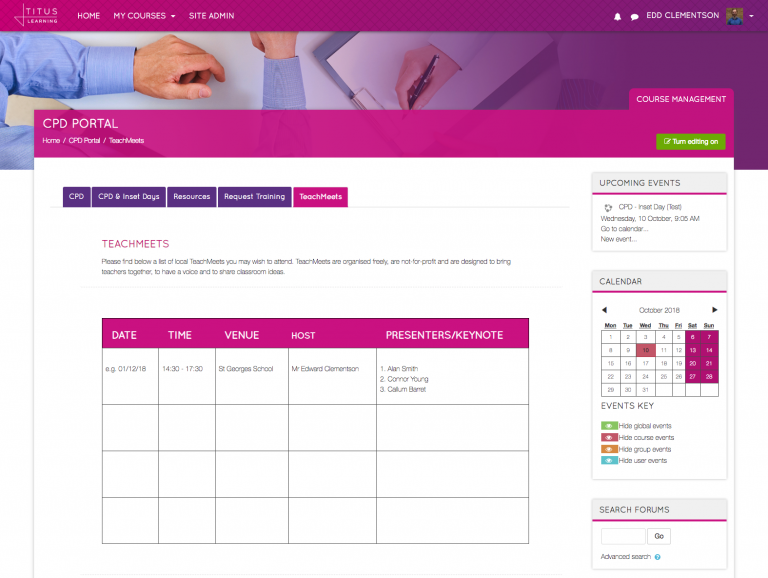 TeachMeets Info – Dates and times of local TeachMeets in the UK that teachers may wish to attend. CPD Calendar – With upcoming events & calendar block to be utilised in conjunction with scheduled events. If you would like to download the template, the link below will take you to our Titus Community site. 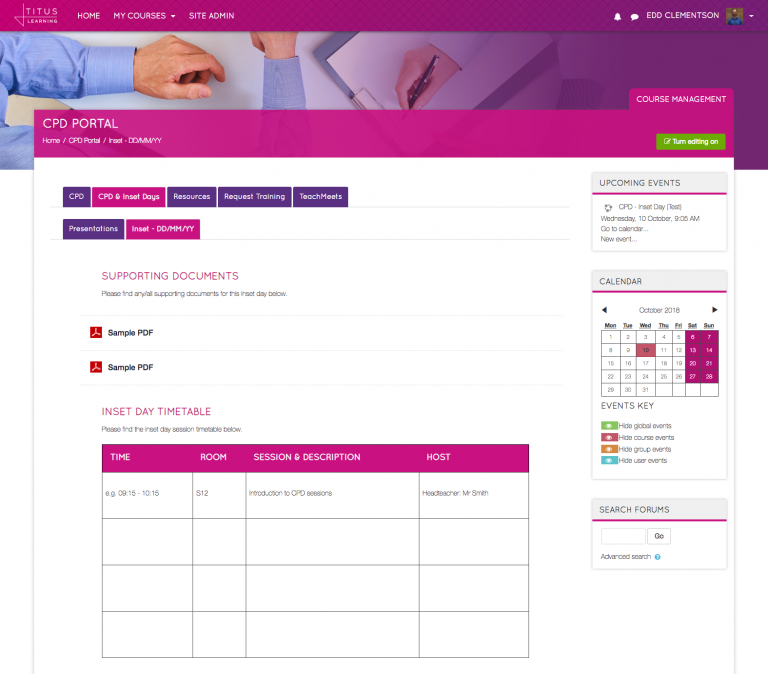 From there you will see a number of course templates to download. 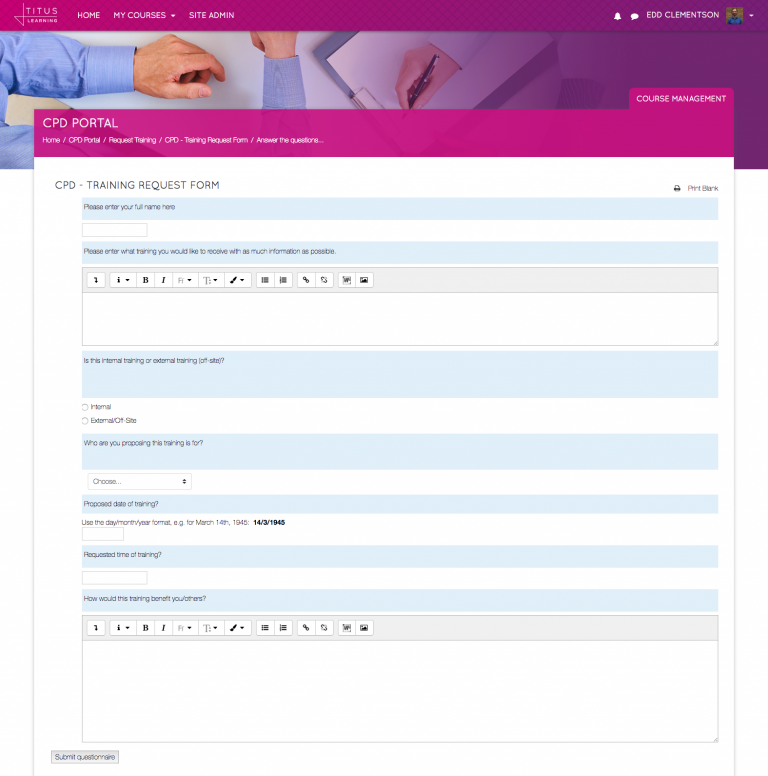 If you click “CPD Portal – 02 – 10 – 18” the template will automatically download. 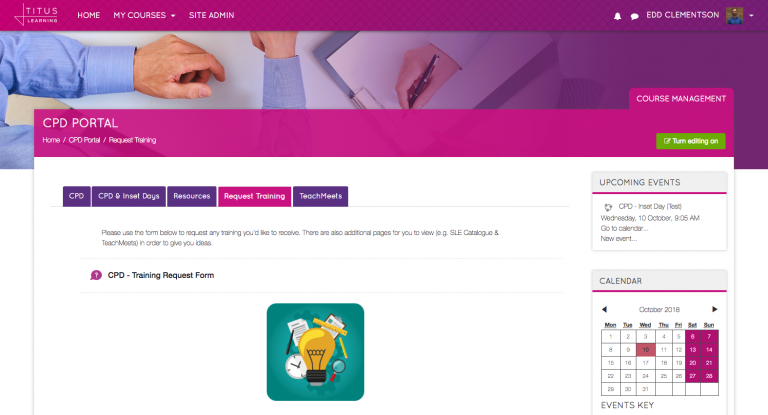 For any assistance with Moodle plugins or using the template, you can also contact the team at Titus Learning – we’re always happy to help with any Moodle query however big or small.